Believe it or not, but another school year is drawing to a close for most folks and that means another graduation is in sight. If you’re looking for a special way to celebrate your grad, a graduation brunch might be just the ticket. 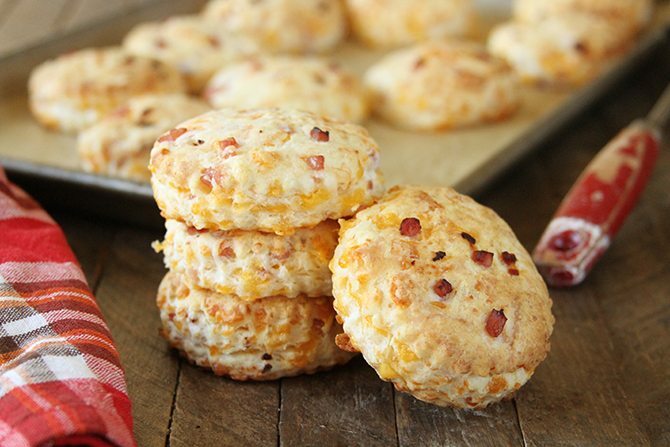 We’ve done several brunches recently and these Ham and Cheddar Biscuits have been the star at each one. 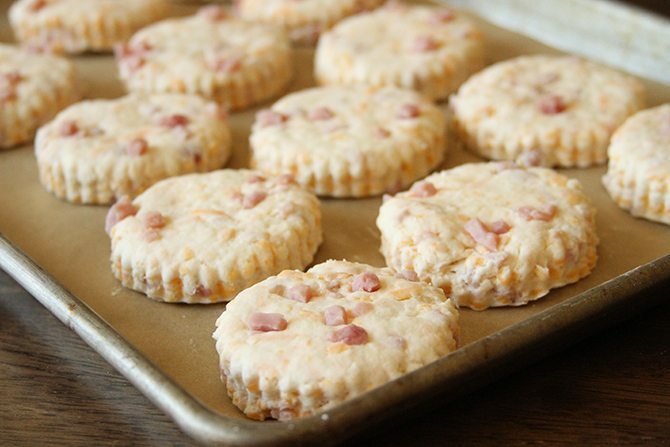 They’re classic flaky biscuits layered with gooey cheese and studded with salty, smoked ham. And even though it might not sound like it, these babies are super delicious with some strawberry jelly or jam – there’s just something about that sweet and salty combo. I really like using creamy, delicious Borden® Cheese because it transforms my favorite brunch recipes into something memorable. 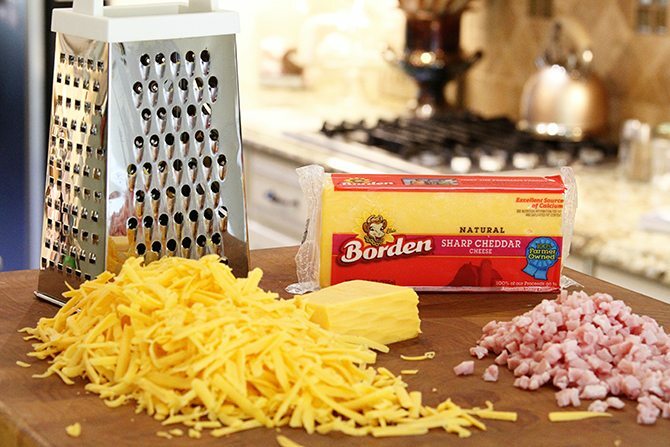 Just like with my recipes, love is always an ingredient in Borden® Cheese. That’s because Borden® Cheese is brought to you by a cooperative of more than 8,000 family-owned dairy farms across the United States. I think that’s why using it makes me feel good. I’m supporting family farms in the process. So when you’re ready to honor your grad, think brunch. 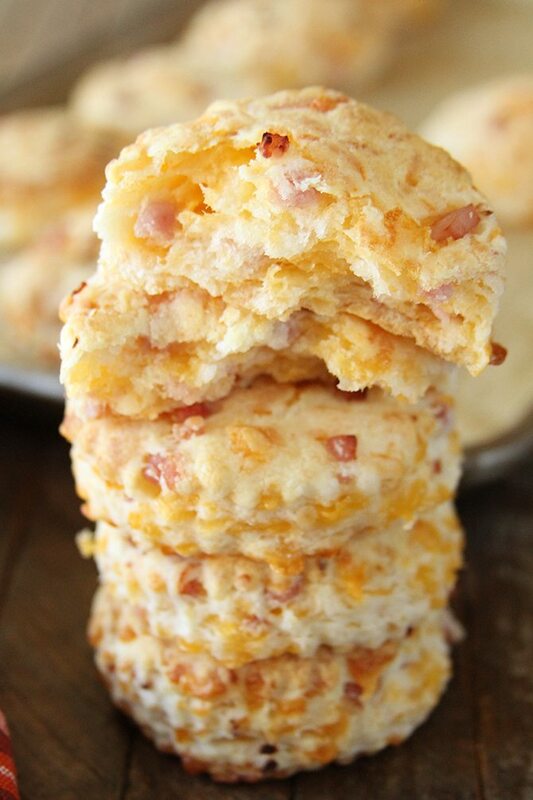 And think these gooey, tender Ham and Cheddar Biscuits. I promise they’ll be an instant favorite. In a large bowl, combine the flour, salt, and sugar. Add 1/2 cup of the cold butter to the flour mixture and use a pastry blender to cut the butter into pieces about the size of peas. Stir in the cheese and ham and mix well to combine. Pour about 3/4 cup of buttermilk into the bowl and mix well. If the dough is still too crumbly, gradually add more milk to get it to the point there you can roll it out, but not too sticky. Turn the dough out onto a floured surface. Sprinkle some additional flour over the dough. Knead the dough lightly being sure to fold it over on itself three to four times. Gently roll or pat the dough to about 3/4-inch thick. Use a 2 1/2" to 3" biscuit cutter to cut the biscuits by pressing strain down to cut them. Take care to not twist the cutter. Use a straight up and down motion. Transfer the biscuits to the prepared pan. Rework the dough and continue to cut biscuits until all the dough has been used. These look fantastic! Can’t wait to make them. Hopefully, this weekend! Oh my goodness, Stacey! 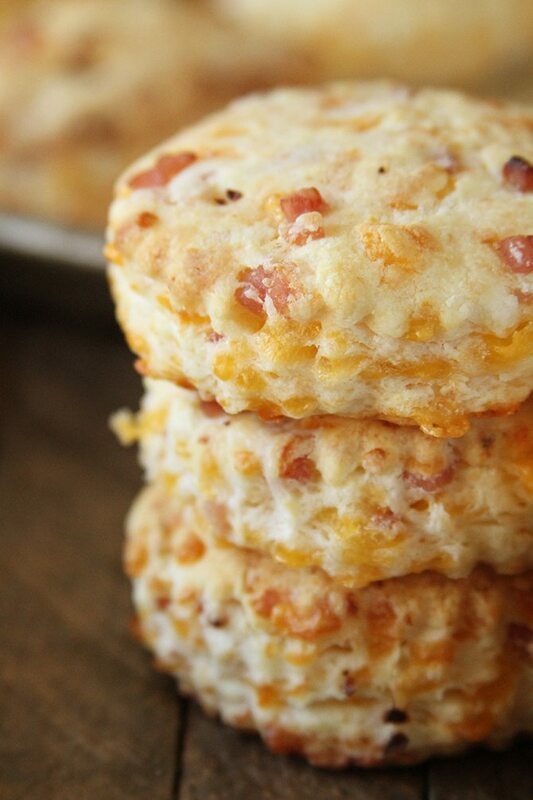 I don’t even eat ham but I would eat these biscuits. They look absolutely amazing and sound delicious. I can totally imagine them being amazing with jelly! I love salt/sweet. Thank you! I just love that salty/sweet combo!! 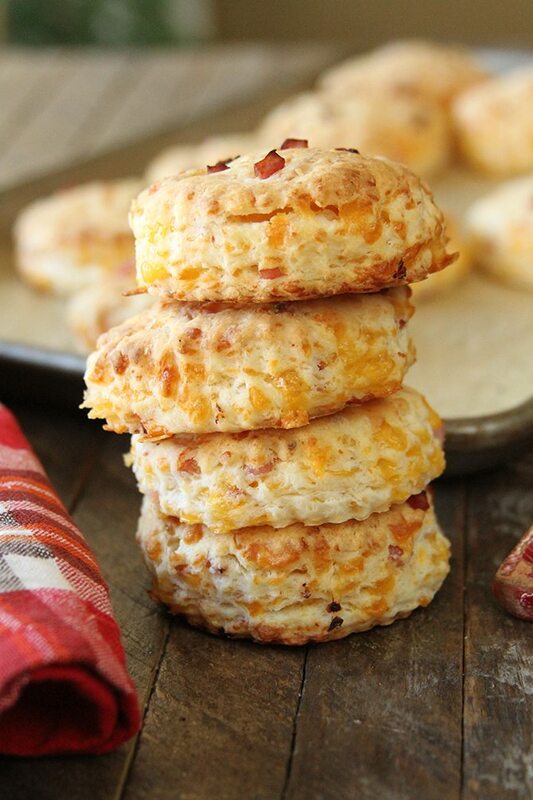 These look so good, I’m going to make them for dinner tonight!! If you want to omit the Ham, do you need to adjust any other ingredients? 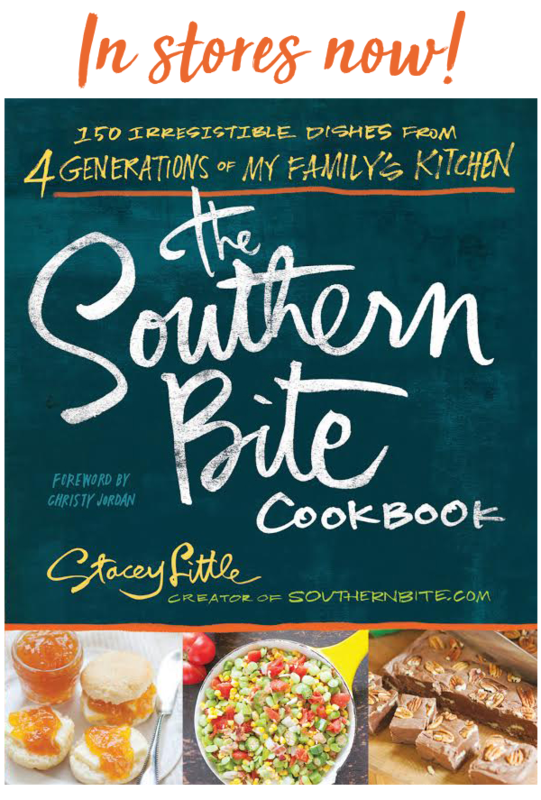 Thanks, Stacey, we really enjoy Southern Bite! 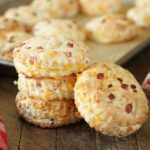 Do you think these would work as drop biscuits, without rolling and cutting? You’ll probably want to add a little extra milk to get them to the consistency that they can be dropped, but yes. Hi Stacey! 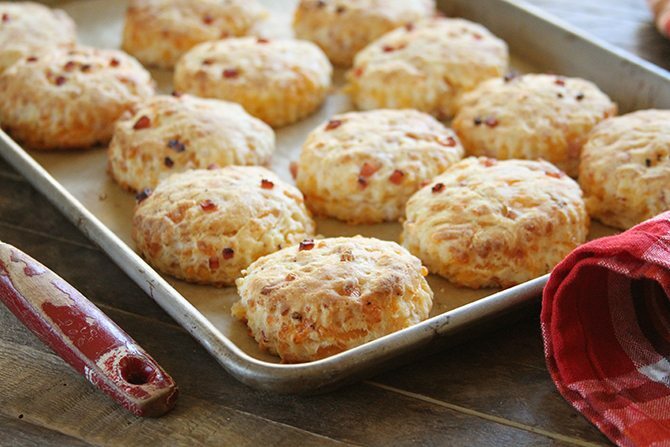 Wondering if the biscuits can be made ahead and frozen, then baked just before serving? Tiny kitchen, lots of people…make-ahead is crucial! Thanks! 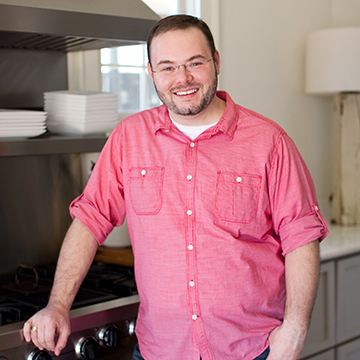 Hi Stacey, I have been meaning to comment on this recipe for a long time now. I have made these biscuits about a million times. I don’t even need to refer to the recipe anymore! LOL Everyone that I share them with absolutely loves them! Thanks for a winner! Love your website. Thanks, Lisa! I’m so happy to hear you’ve enjoyed this one so much! !